With Drake's "One Dance" still at number one in the UK and still without an official music video, the top 10 is available for my Chart Mondays' review. This is currently at number 10 on the UK chart, and with Justin Timberlake's "Can't Stop The Feeling" set to top the charts next Friday, I thought I'd review this music video. What a mistake that was, because this is absolutely brilliant, and might have me writing for days! DJ Snake and Bipolar Sunshine give a brilliant music video for Middle, with actor Josh Hutcherson and actress Kiersey Clemons giving a superhero portrayal of love and hurt, how can you not love this video? 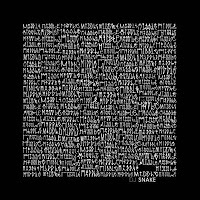 DJ Snake, real name William Grigahcine, has had hit single after hit single. He produced Lady Gaga's album 'Born This Way', which earned him a Grammy nomination. He is definitely the one to watch in music lately and I'm pretty sure we will be seeing a lot more of this global sensation. He also has a sneaky role in this music video. Bipolar Sunshine, real name Adio Marchant, is an upcoming English singer who's name is certainly being used quite often. However maintaining popularity isn't always an easy thing to do. His singles have charted in the UK, nothing of impact, just yet. Surely this song would've helped. The song was written by William Grigahcine, Aaron Kleinstub and Adio Marchant. A Colin Tilley directed music video, it's no wonder it's so good. As mentioned above, the actor Josh Hutcherson plays the superhero and the actress Kiersey Clemons plays the love interest. Our main character feels lost and alone, he doesn't quite fit in the world we live in. He stretches his imagination out into his reality, making himself a superhero, who still doesn't fit in. He comes across a girl who is dressed as a superheroine, suggesting she has the same feelings as he does; not quite fitting in society. They join up and stretch their imagination together; flying through the streets, climbing walls, as well as bedroom entertainment. The next morning, she's gone. He searches for her, but can't find her. 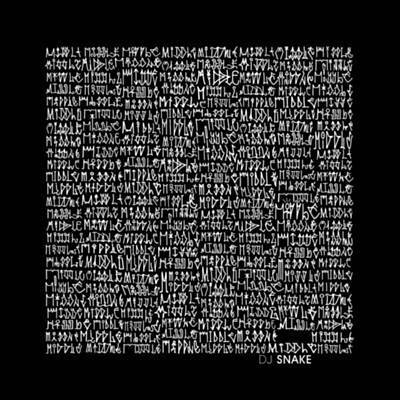 At this point he passes DJ Snake on the street in a surreal scene. He gets to a sidewalk that tells him not to cross, and in a suicide attempt, or maybe just an attempt at flying that goes wrong, he crashes into a taxi. And guess who's in the back, it's Kiersey Clemons with her boyfriend, not dressed up as a superheroine. Hurt and betrayed, Josh Hutcherson is all alone and in a lot of pain from the crash. Kiersey Clemons returns at the end, helping him to heal. It's a great story about being lost in the world, but having someone who is lost with you, that's true love, but there's also a perfect betrayal that you don't really expect. Yet, as usual, the guy is ready to take the girl back. Boy has she got some explaining to do. A brilliant narrative of a music video, that relates perfectly and effortlessly with the song. Two very well-known actors too, with this on rotation on the music channels, it's not surprising this song got in the top 10 of the UK chart.